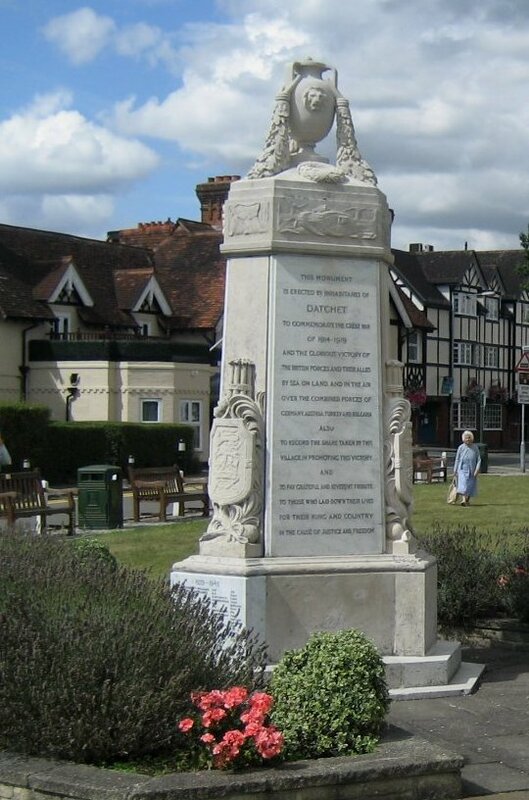 The first known written reference to Datchet is from the year 994, recording the sale and exchange of land here, although there is also evidence of settlements from Neolithic to Roman times. The name ‘Datchet’ is of Celtic origin (pre-Saxon) in an area where Celtic place-names are unusual, but its meaning is unclear. In common with most English villages, it was recorded in the the 1086 Domesday survey. Ditton Park has been closely associated with Datchet, as was Riding Court which lies between Datchet and Ditton. The earliest settlement of the present village was centred around the church which is on an ‘island’ of high ground in otherwise low lying land and was probably a pre-Christian fortified site. Opposite, on the south side of the Green, is the Manor House range of buildings dating from the 1500s. 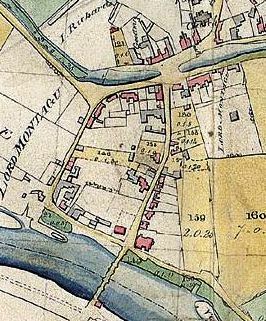 At that time the characteristic Greens did not exist and a stream ran through the centre of the village widening to a pool in front of the Manor House; this was culverted in the 1840s to create the dry land of the present Greens. One well known royal story concerns Charles II who is said to have kept his mistress Nell Gwynn at the Old Bridge House, but unfortunately there is absolutely no evidence at all for this. 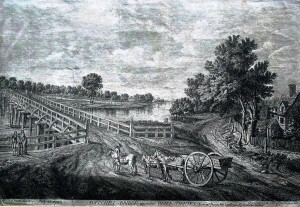 Charles II did go fishing further up river at Black Potts, and also attended horse racing on Datchet Mead, which was on the castle side of the river opposite Datchet. Throughout Tudor and Stuart times Datchet was attractive to royal courtiers, civil servants and London merchants, who occupied the Riding Court and Southlea estates as well as houses in the village centre. It was within the crucial distance of one day’s ride from London as was Windsor Castle itself. From 1742 the Montagu and Buccleuch families owned both Ditton Park and Datchet Manor, living at Ditton and renting out Riding Court and the village’s Manor House range of dwellings. The other powerful influence was St George’s Chapel in Windsor, which had owned the church and its tithes since the 14th century. Economically, Datchet depended on agriculture and its two important Thames fisheries, which were recorded in the Domesday survey, and there is no evidence of any other industry. Much of the land remained as open fields from medieval times right up to enclosure in 1810. The old main route along Horton Road towards Colnbrook and London was changed in the 1760s when the Colnbrook Turnpike Trust widened the narrow lane leading past the parish church. This became our London Road, providing a more direct access to Bath Road and made travelling easier; it has now become a busy access to the M4. 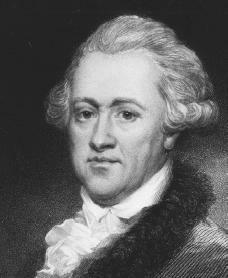 During the 1780s the great astronomer Sir William Herschel and his sister Caroline lived here, but the house they occupied in Horton Road no longer exists. In the early 1800s the village’s reputation was so low that it was known as ‘Black Datchet’. Development and improvement began around 1850 when the railway came through from Staines to Windsor. A condition of the line being allowed through Crown land at the north of Datchet parish was that Datchet’s Thames bridge should be removed and replaced by the new Albert and Victoria bridges above and below the village to take new roads to Windsor and to Old Windsor. The arrival of the railway and easy access to London led to dramatic expansion of the population, but few new houses were built before the mid-1870s when agricultural land began to be sold for housing development. 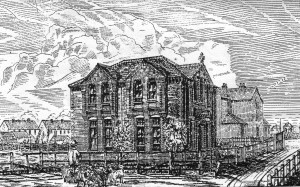 In the next few decades the philanthropic energies of the Parish Church and wealthy families brought many improvements and developments in people’s lives: in 1843 the Rev. 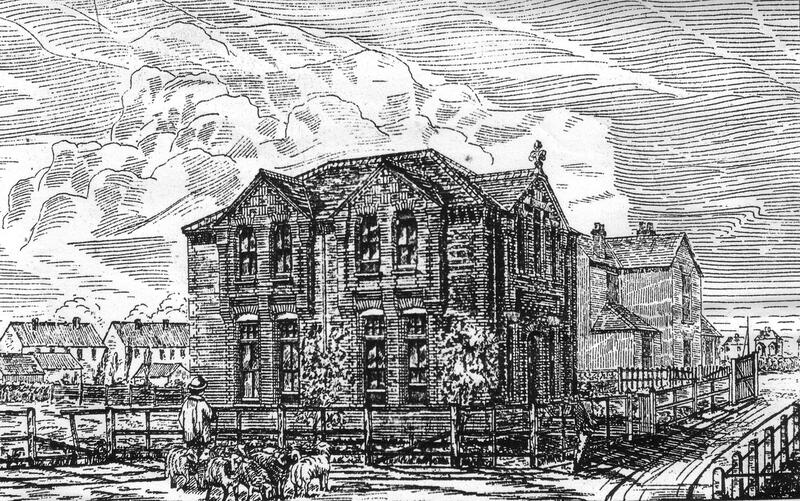 Isaac Gosset founded the village school; from 1857 to 1864 the church itself was almost entirely rebuilt; and from 1881 the Working Men’s Club (now Datchet Library) became a focus for village activities. Datchet’s characteristic Victorian ‘mock Tudor’ architectural style was introduced when the Manor House was restored and re-fronted in about 1870. Datchet earned a fashionable reputation for riverside pleasure trips, regattas and parties, with its station bringing crowds at weekends. This not only fuelled the demand for new houses, but brought new jobs of all kinds for the working classes so that housing development for them also boomed. To commemorate Queen Victoria’s golden jubilee in 1887 the great oak tree was planted in the middle of the village, to be joined by the jubilee cross for her 60th jubilee in 1897. In the 1890s there were two great floods, the first for which we have a photographic record. In 1895 the Hon. Evelyn Ellis imported the first motor car into England from the continent, flouting the Red Flag Act in order to encourage the development of the British motor industry. Another pioneer with local connections was Tommy Sopwith, who landed his plane on the golf course in 1911 to the amazement of the population. 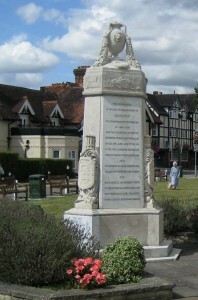 The two world wars affected Datchet through great loss of its young men, as they did every village in the country. The war memorial, erected in 1920 is a particularly fine one. In 1917 the Admiralty Compass Observatory compulsorily purchased Ditton Park House, and during WWII vital secret work on the development of radar took place there. Post-war, two major projects altered the landscape drastically: the arrival of the M4 and the building of the Queen Mother Reservoir. Since then, as in so many other communities, housing development and the burden of traffic have suburbanised the village, although it still manages to retain its special character. And it is thanks to the prosperity of the computer-based industry and Datchet’s excellent travel connections that both Ditton Park House and Riding Court Farm have been restored and preserved for the future. Datchet’s name has not changed over many centuries even though a great many variant spellings exist, including Daceta (in Latin), Datchette, Dochet, Detchet and Dachet. Spelling generally was not standardised until quite recently, so that both family and place names were simply written as the individual scribes heard them pronounced. There is no thread of development over time in the spellings and each variant is random – and the modern standard form ‘Datchet’ is still sometimes spelt ‘Datchett’.